You are here: Home / Increasing Milk Supply / Oatmeal Experiment: Does Oatmeal Increase Milk Supply? 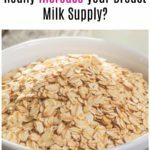 If you are trying to boost your milk supply, you might have heard that you should try eating oatmeal to boost milk production. Does oatmeal increase milk supply? If so, how much oatmeal do you need to eat, and does it matter what kind of oatmeal? Does Oatmeal Increase Milk Supply? However! 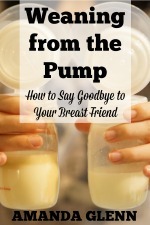 There is a lot of anecdotal evidence for it; many women are convinced that they see increased output after eating oatmeal, and lactation consultants often recommend it to women struggling with supply. The good news is that the downsides to eating oatmeal in order to try to increase your milk supply are very low. (Unless, of course, you don’t like oatmeal! Like me.) With the exception of women with a gluten intolerance, there are no side effects and no risks to trying it. Additionally, oatmeal is inexpensive, easily available in grocery stories, and isn’t time consuming. In short, oatmeal is a “can’t hurt, might help” solution to milk supply. 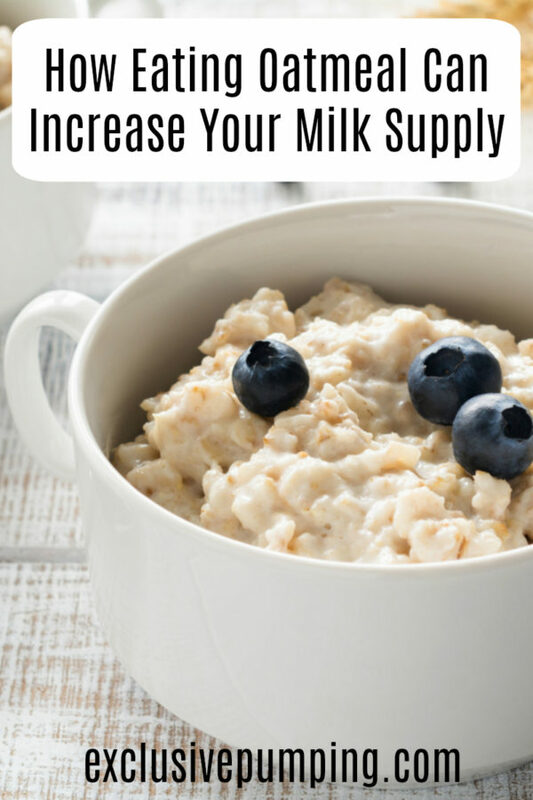 How Does Oatmeal Increase Milk Supply? Again, no one really knows for sure why oatmeal seems to increase milk supply. However, are a few theories. The first is that oatmeal is high in iron, and since low iron in can result in decreased milk supply, the thinking is that a boost in iron could do the opposite, and help increase it. Another thought is that oatmeal lowers cholesterol, which is also a feature of other substances (for example, fenugreek) that are known to increase milk supply. Since multiple substances that lower cholesterol increase milk supply, the thinking is that maybe there is a relationship. Exactly How Much Oatmeal Do I Need to Eat? 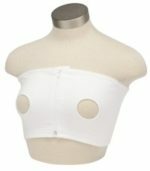 What Kind of Oatmeal is Good for Breastfeeding/Milk Supply? Any kind of oatmeal should work – rolled oats, steel cut, instant baked in cookies, granola bars, etc. Note that if you go the lactation cookie route, you want to make sure you’re getting a full serving of oatmeal, which will obviously depend on how much oatmeal is in each cookie. If you really don’t like oatmeal, I’ve found over time that overnight oats are a great way to eat oatmeal that tastes good. How Long after Eating Oatmeal will Milk Supply Increase? I usually noticed an increase within an hour or two. If I ate it for breakfast, the pumping session after that would usually have a boost. 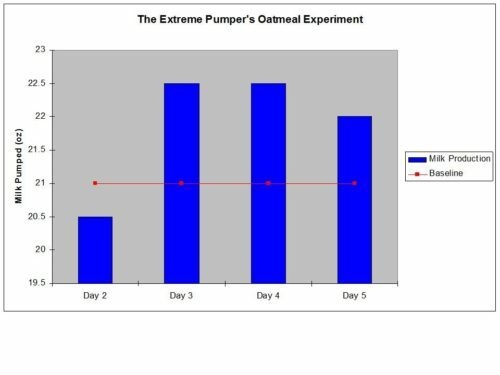 An Oatmeal and Milk Supply Experiment! When I was I pumping for my second baby, I decided to do my own, as-scientific-as-possible-given-I’m-one-person (and not actually a scientist) test: will eating oatmeal increase my supply? My methodology was to use Monday as a baseline day where I did not eat oatmeal. Then I had one bowl of oatmeal (I chose old fashioned oats) for breakfast Tuesday through Friday, and compared the total amount that was pumped on the baseline day with the oatmeal days to see whether or not there was an effect. Caveat: Everyone is different, and just because my body reacted to oatmeal one way does not mean yours will or will not. 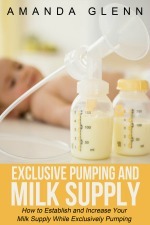 Also, I was in the late stages of pumping (my baby had just turned one), which might have affected the results. 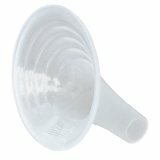 For example, I tried fenugreek when I was the in the later staging of pumping with for my first baby, and it did absolutely nothing for me, but I had great success with it when my son was younger. Day 2: First Day of Oatmeal! I had a bit of a snafu with making the oatmeal. (Frankly, I hate oatmeal and hadn’t eaten it for years.) The container said to use a deep bowl when microwaving to allow room for the oats to expand while cooking. I had been planning on making the oatmeal in a cup. I unwisely went ahead with this plan, and my oatmeal barfed all over the microwave. After I cleaned it up, I had to go to a meeting and as a result, I didn’t get around to making a new batch and eating the oatmeal until 10am, so that may have made a difference in the results. TOTAL DAY 2: 20.5oz. Actually 0.5 oz less than baseline. I used a bigger bowl and had better luck today with the oatmeal. Have I mentioned that I really don’t care for oatmeal? I added strawberries and some Truvia to it and found it barely edible. TOTAL DAY 3: 22.5oz. A 1.5oz increase – awesome! My output from my second session of the day was huge here – that’s about what I usually get all day at work. I’m not sure what happened between 6:15 and 10:30! Pump #2 (10:30am): 9 oz Holy crap! TOTAL DAY 4: 22.5 oz. Another 1.5 oz increase! TOTAL DAY 5: 22 oz. A 1 oz increase. I’m really happy with these results – getting an extra ounce of milk on the days that I had oatmeal on time for breakfast almost makes it worth eating oatmeal for breakfast. Because this is far from the most scientific experiment ever done, it’s hard to know if what happened on Day 2 was just a normal supply fluctuation, or because timing matters and I ate the oatmeal later, or for some other reason. But more milk on three out of four days isn’t bad! My takeaway from this is that if you could use an extra ounce of two when you pump, oatmeal is definitely worth a shot. Feel free to share your experiences with oatmeal and milk supply in the comments! I love it! Thank you for doing this – I am now more convinced about the chances of oatmeal increasing my supply. Currently eating oatmeal (leisurely..) but also having low supply I wasn’t sure if I should put in effort in being diligent with oatmeal. Every one’s different but now I’d give it a shot! I started relactation 3 weeks after getting the flu and drying up. I started my routine with Healthy nursing tea 3 times a day for the first week by the end of the week I was getting 10 oz a day going from 2 oz a day! The second week I am now up to 24 oz a day! That is great! Awesome work!